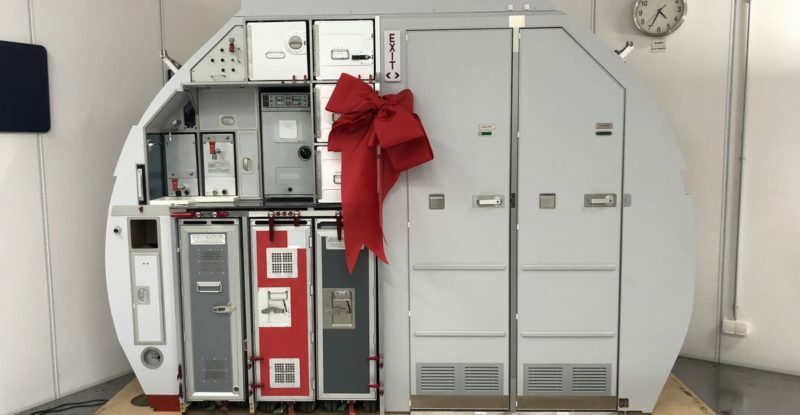 Lufthansa Technik will install the combined galley lavatory product as part of a cabin retrofit on board a Latin American customer airline. SKYPAX is a solution for optimal use of space with galleys and lavatories in the tail of the A320 aircraft family. SKYPAX is aimed at the cabin retrofit market, where airlines are modernizing and optimizing the equipment of their cabins. By installing SKYPAX, airlines can install up to 12 additional seats on board their aircraft and thus increase their revenue potential. In addition, a newly developed emergency slide and an innovative video system (Digital Direct View Camera System) allow for an improved arrangement of seats for flight attendants. Diehl Aviation and Lufthansa Technik have developed SKYPAX together with other partners. 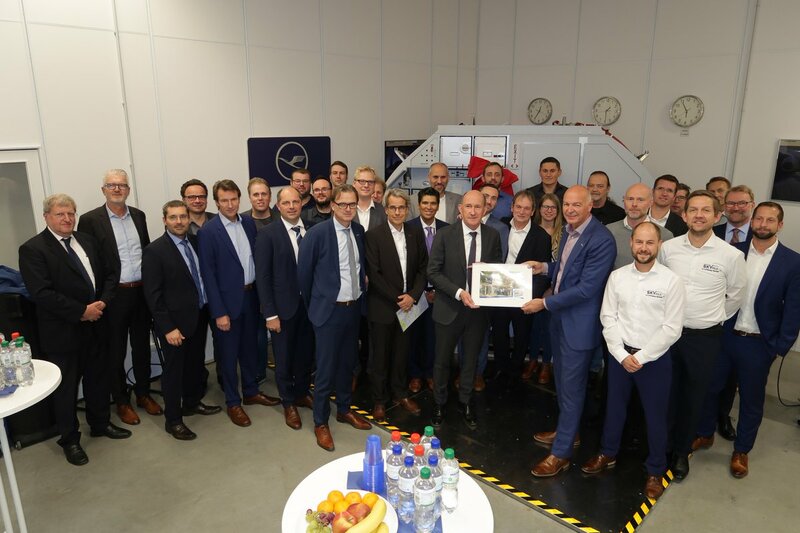 Lufthansa Technik is responsible for the installation inside the aircraft, while Diehl Aviation is building the SKYPAX monument and cabin hardware. Today’s handover of the first SKYPAX monument for installation into a customer airline represents an important milestone for both partners. For Diehl Aviation, SKYPAX is an important product with which the company intends to expand its presence on the cabin retrofit market also with products from Diehl’s Hamburg production. Diehl maintains high capacities for the production of SKYPAX monuments in order to be able to offer a volume of about 14 shipsets per month as well as to cover temporary peaks if necessary. Diehl Aviation is a division of Diehl Stiftung & Co. KG and combines all aviation activities of Diehl Group under one roof. In the aviation industry, Diehl Aviation – including Diehl Aerospace (a joint venture with Thales) – is a leading system supplier of aircraft system and cabin solutions. Diehl Aviation currently has more than 5,400 employees. 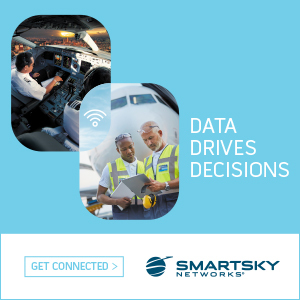 Its clients include leading aircraft manufacturers Airbus (both airplanes and helicopters), Boeing, Bombardier and Embraer, as well as airlines and operators of commercial and business aircraft.